Upon reading that part of the press release, and seeing the image sent by the company, all I could think of was, “the night is dark (black), and full of luxury.” Well, not quite. As it turns out, Black is indeed an extremely luxurious fragrance that smells very expensive, but I found it to be as purple and pink as humanly possible. 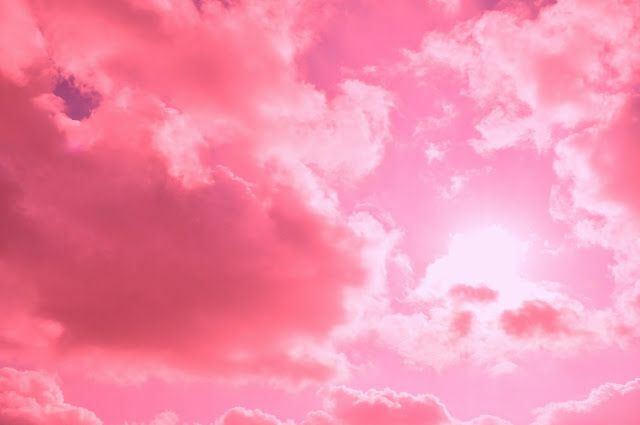 At one point, it evoked fluffy pink clouds, and I almost expected a chubby cherub to be sitting on one and offering me turkish delight. For me, “Black” is the absolute furthest thing from its name, and is not my personal cup of tea. It’s not a bad fragrance by any means — in fact, it’s well done and clearly emanates luxury — but we all have subjective tastes or things that we struggle with, and I struggled quite a bit with Black. Black in the 17.5 travel flacon. Source: Puredistance. Puredistance BLACK is created in Paris by the famous French Perfumer Antoine Lie based on a concept of Puredistance founder Jan Ewoud Vos. The essence of the concept was to create a perfume that is close to the wearer and releases sensual and elegant scent layers in a whispering way – without shouting. A mysterious fragrance that stays in the shadow, giving away – only every now and then – part of its nature. Black in the regular, non-travel, bottle form. As part of the whole concept of mysterious shadows, Puredistance wants you to treasure the “beauty of the unknown,” and merely describes the scent as one that is more “masculine and oriental” than Puredistance “I.” The company is keeping secret Black’s perfume notes, saying only that you should “Envision, Smell, Feel. Don’t analyse.” If you’re a regular reader, you all know how well I manage not to analyse things…. It’s hopeless. I was incapable of just smelling, feeling, letting go and not analysing with the uber-luxury brand, JAR, and it’s not possible here, either. It simply is not my personality or forte in life, given my obsessiveness with both facts and details. Ginger, cardamom, absinthe wood (wormwood), saffron, rose, patchouli, myrrh, opoponax (sweet myrrh), amber, sandalwood (not from Mysore), and benzoin. What I’m less absolutely certain of is the possible inclusion of oud, a tiny touch of elemi wood or guaiac as an additional source of woody smoke, and a drop of vanilla. It’s extremely possible, but I wouldn’t bet my life on it. Puredistance Black opens on my skin with a blast of cardamom, immediately followed by ginger, amber, absinthe wood, incense, saffron, patchouli, and a whisper of rose. There is a balanced sweetness, a suggestion of sandalwood, and a saffron that is neither buttery nor hot, but wonderfully spicy. The ginger adds a lovely, fresh, piquant bite that works beautifully with the sweeter notes and the woodsy notes. Speaking of the latter, I guessed absinthe (or wormwood) for a few reasons. First, even before I tested the perfume and simply upon taking the vial out of its white, satin pouch, I was hit by an extremely strong blast of oud-like woodiness that was herbal, spicy, and green — too much so to be real agarwood. It was also extremely similar in smell to the wood note in Amouage‘s Fate Man, a fragrance that officially includes wormwood. On the skin, the woodsy notes was surprisingly less dominant and forceful than what was wafting out of the vial, but it felt even less than complete, total agarwood in nature. Absinthe shares a few cursory, initial similarities with oud, so that’s what I’m going on. The initial opening of Black in the first two minutes is lovely, but then, my nemesis takes over: purple, fruited patchouli. For all that I love black/brown patchouli, I despise the purple kind that is ubiquitous and everywhere in modern perfumery. A friend asked me the difference the other day, and I think my explanation may help some other people too. For me, traditional (and rather 1980s) patchouli is brown/black in hue, with chewy undertones of sweet amber, spice, leather, wood, and incense smoke. The current, modern version of patchouli is purple in hue because it’s fruity, syrupy, jammy, incredibly sweet, and with grape and berry undertones. The very original type of patchouli is the 1970s, hippie kind that is really, really black, dirty patchouli and that people describe as a “head shop” scent. Some examples of fragrances with a strong purple patchouli note would be: almost every commercial, department store perfume containing “patchouli,” Marc Jacobs‘ Lola, Chanel‘s Coco Noir, Le Labo‘s Ylang 49, Frederic Malle‘s Portrait of a Lady, and, now, alas, Puredistance Black. An example of black/brown, more traditional patchouli would be something like Profumum Roma‘s Patchouly, Serge Lutens‘ Borneo 1834, Chanel‘s Coromandel, or Reminiscence‘s Patchouli. It’s not a long list at all because that sort of patchouli is incredibly uncommon nowadays. 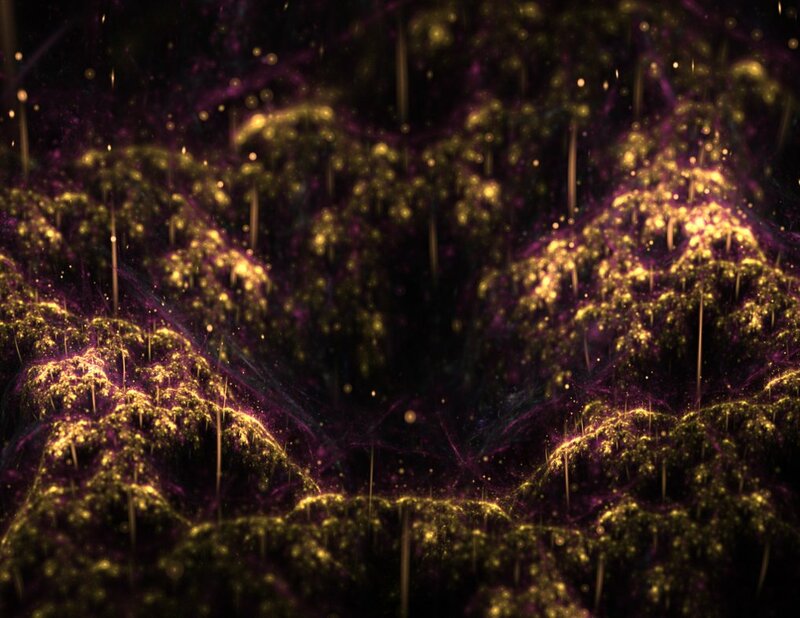 I spent all this time outlining the specific smell and nature of purple, “fruit-chouli” because it is the heart of soul of how Puredistance Black manifests itself on my skin. No less than three minutes into the perfume’s development, the saffron-oud blast takes on an almost grape-y, berry, jammy overtone that is incredibly sweet. Five minutes in, I feel as though I’ve been covered by fruit syrup. Twenty minutes in, I feel as though I’ve been transformed into a berry tart with unctuous, cloyingly sweet, fruited, purple Smucker’s jam, then sprinkled with rose petals and a dusting of saffron. I have to be honest, I lost my appetite — and I hadn’t eaten in over 12 hours. I wish there were a substantial counter-balance to the deluge of fruit-chouli in the opening hour. There is a herbal, woody note that flitters about like a tiny hummingbird, but it’s far, far underneath, and wholly unable to compete with the grape-y, berry onslaught that is stomping over my arm like a Panzer unit in full fury. I know my skin tends to amplify base notes, but this is a bit ridiculous. I think sadly back to that absolutely lovely opening with its spicy, gingered, slightly herbal, ambered woodiness, but it’s gone, smothered by unctuous, purple, saffron-rose-infused molasses. Even the absinthe gasps for air, then retreats to the corner to hide its head. There is no salvation in low sillage, either. That promised description of a wispy perfume that “stays in the shadow”? Ha! Black’s opening is strong and potent, with significant sillage, wafting in a purple cloud almost a foot around me. I normally would be thrilled, but the fruit-chouli is starting to crush my spirit. For a whole hour, I’m drenched by jammy, grape-berry molasses, that is just lightly infused by particles of saffron-infused rose, incense, absinthe wood, and honeyed amber. The ginger is no longer noticeable, and neither is the cardamom. It was with enormous relief that things start to slowly — very slowly — improve at the end of the first hour. The Smucker’s patchouli jam lessens fractionally, allowing the rose to finally come out properly from its gooey purple shadow. 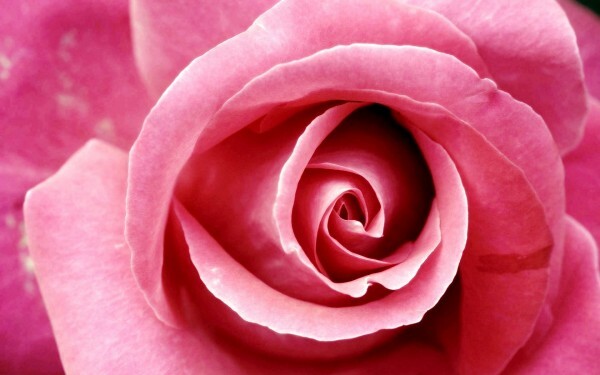 The rose is sweet, just slightly dewy, and pink in visuals. With each passing moment during the second hour, it takes on a weight of its own, and starts to diffuse the fruitedness of the perfume. The woody notes and light incense are also more noticeable, though they’re largely blended into the greater whole. By the start of the third hour, Puredistance Black’s purple hues have turned into a gorgeous shade of pink. The perfume wafts about 2 inches above the skin, and has a soft, creamy texture like a fluffy cloud of saffron-rose. In fact, Black takes on a Turkish Delight, or loukhoum quality, though without any of the sugared powderiness often associated with that confection. The patchouli remains, but it is quite mild as compared to its original, completely nuclear blast. Instead, it merely adds to the loukhoum association with a soft touch of grape. It actually works perfectly and brilliantly now. 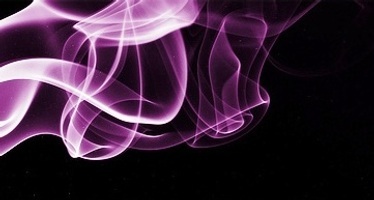 The absinthe wormwood and touch of incense lurk in the shadows, leaving an image that is primarily that of a pink, fluffy, creamy cloud. I almost expect to see a pink-cheeked cherub sitting on one of them. I mean it quite sincerely when I saw that I enjoyed this phase of Black. I really did. It reminded me of a significantly richer, creamier, more luxurious version of the drydown phase of Tom Ford‘s Noir de Noir. There, the syrupy, very baroque rose with saffron, truffle earthiness, and the merest, speckled touch of oud also turned into a loukhoum confection in its final stage, but there are big difference. Noir de Noir was much thinner at that point than Black, had an almost violet-y touch, and, more to the point, was extremely powdered in nature. I wasn’t particularly fond of the violet, vanillic powder of the drydown, and I’m relieved that Puredistance Black has none of it at this stage. 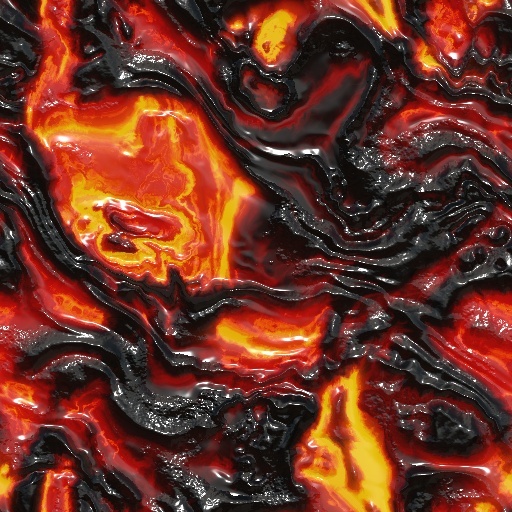 Even better, Black is infinitely deeper, smoother, richer, creamier, and more opulent. The perfume is fluffy, but rich; sweet but not excessive; and an utterly beautiful, creamy, deep, pink rose with just the right amount of fruited patchouli. There is also the very necessary touch of woodiness which Noir de Noir lacked in its drydown, adding a balance to the floral sweetness. Here, the woody element has the faintest flicker of herbaceousness, but, more importantly, a creamy smoothness that makes me wonder if there is generic, Australian sandalwood or cashmeran underneath. Black remains as this lovely mix for a few hours with only minor alterations. For example, at the start of the fifth hour, the perfume drops to lie just barely above the skin. The herbal absinthe wood that continues to hide behind the floral loukhoum changes in strength, fluctuating from mild to weak on the overall scale of things. And there is a growing hint of something anisic that is rising to the surface. At the 6.5 hour mark, however, Black begins to transform. It takes on a licorice undertone and slight whiteness which makes me think that it must have myrrh. It is a note which is known to display an anisic, herbal facet, in addition to a slightly churchy, cold, white, incense note. The latter is extremely subtle in Black, but it’s there as well. At the same time, there also is a flickering shade of something honeyed which resembles very much sweet myrrh or opoponax. 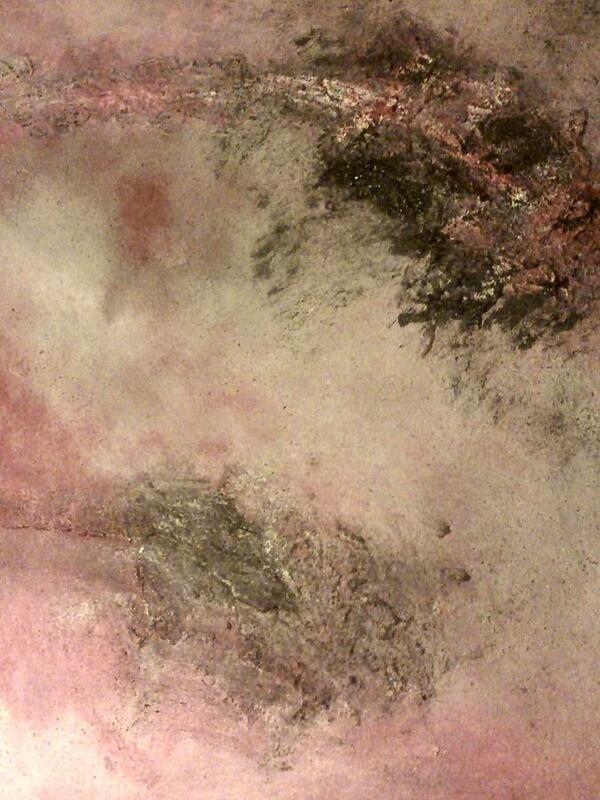 In addition, Black is starting to show a slightly vanillic powderiness that makes me suspect the presence of benzoin. In its final change, the perfume has turned into a gauzy veil that sits right on the skin, though it is still easily noticeable and potent when sniffed up close. Black still smells of a floral confection first and foremost, but the newcomers become increasingly noticeable. And, in all honesty, I’m not completely thrilled by the overall effect. There is a cloying undertone to the rose Turkish delight when combined with the anisic, slightly cold, white incense-y myrrh, the sweet myrrh, and the vanillic powder. It’s not helped by a new spiciness that faintly resembles All-Spice powder and/or star anise. In small doses and for a short period of time, the sum total is perfectly fine, but Black stays this way for hours on end. I found it a little fatiguing, if truth be told. I tested Black twice, and I’m afraid I wasn’t very enamoured on either occasion. I don’t mind the middle phase, but I wasn’t crazy about the last one. And there aren’t words whatsoever to describe my reaction to the opening hour. As I said, I thought Black significantly and substantially improved at the start of the second hour, but the first one was rough. Yet, it’s important to put my comments into context: I absolutely loathe purple, fruited patchouli. I try to grit my teeth and get over it when the note is minor, but when it is significant, substantial, and potent, then I simply can’t bear it. I don’t think others have quite the intensity of my reaction to fruit-chouli, which isn’t helped by having a skin chemistry that amplifies the note. In short, my reaction is very subjective and personal to me. Puredistance Black holds my interest from the very first second. A medicinal camphoric note there that lets you know that the raw materials here are real and uncompromising. Soon it becomes honeyed and steeped in booze, making the maybe-oud go down easily and deliciously. Perfumes of this kind, from Amouage to By Kilian often use their sillage to assert themselves as luxury. Not here, though, and as the press materials stress– this is a feature, not a bug. And I have to say that I love it. Black is not exactly a skin scent but it lives and thrives on skin level; the emotional storm is very much there, manifesting itself for one’s own personal pleasure for a full day and night, just without broadcasting it to the world. Puredistance Black reminds me of the darkness and weirdness factor of Goutal’s Un Parfum Cheri, par Camille, fueled by an intense Indonesian patchouli grade replete with all its earthy chocolate and darkness “dirty” facets. […] Black would be also liked by those who appreciate Borneo 1834 and Bois de Violette or by oudh and tobacco fragrances fans, as the bittersweet oriental feel would appeal. I’ve tested both the Lutens fragrances that she mentions, and I see absolutely no similarity between the patchouli in Borneo 1834 and Black. Not even remotely. 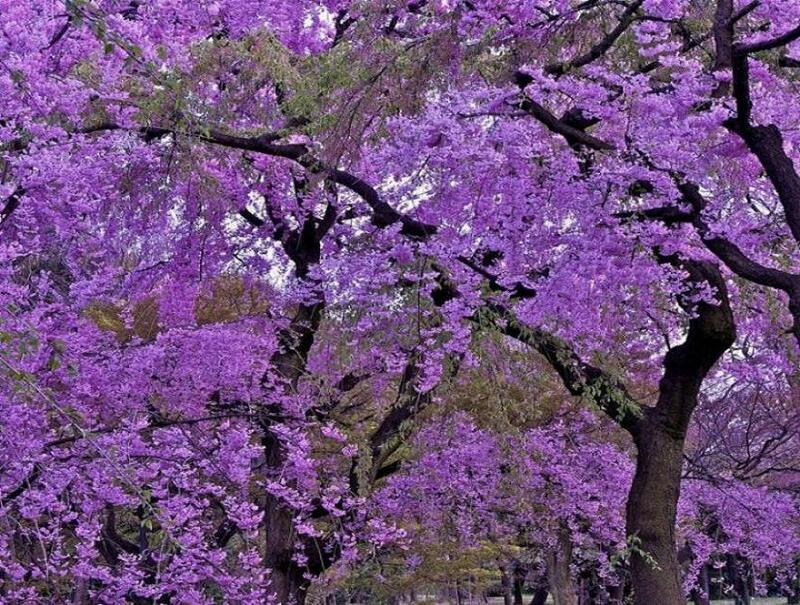 As for Bois de Violette, I don’t think mere fruited sweetness with wood is enough to make the perfumes comparable in style. Clearly, we have very different skin and skin chemistry. The initial impression is one of chaos: its fiery opening smolders with notes of chili pepper, cinnamon, and green cardamom, soon overlapped by the bitterness of saffron and absinthe. A smoky touch of oud dominates the blend for a while and brands its character. I am not especially devout of oud but the effect here is restrained and it suffices to cast a veil of mystery. The whole effect is opaque but lightweight and refined. As I near my nose to my wrist, I can’t shake from my head images of Bogart and Bacall. The progression is as smooth as velvet. As it turns softer, well into the drydown, vanilla, tobacco and tonka ensure a plushy sweetness but the darkness never completely fades away. As a woman, I can wear Black more comfortably than the rugged M, but I still prefer to smell this on a beloved man or on a handsome stranger. WHAT I SMELL: Black opens with a sweet and deep incense and smoky accord. I want to say there’s some bergamot and what seems to be a bit of floraled honey mixed with the smokiness. That initial smokiness breaks away somewhat to reveal this almost butter like creamy light almond. But as soon as I notice that, the incense starts to waft up from the bottom again, this time with what seems to be a bit of sueded leather. There’s a bit of sour that makes an appearance that doesn’t detract, but like the smoke and incense, seems to pop in and out. After around 15 minutes it seems like there is a bit of peppered metallic that makes an appearance. Again, it comes and goes like all of the other notes which seem to intermix seamlessly without one note dominating. 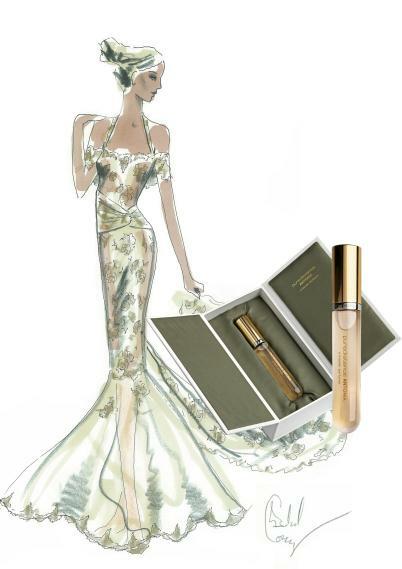 In the end you’re left with a very light, close to the skin, smooth and elegant slightly woody incensed perfume. As all of this should make clear, Puredistance Black is different things to different people. All these reviews are dissimilar, though mine seems to veer furthest outside any common thread. So, the bottom line is that you should try Black for yourself, and make up your mind. If, by chance you generally share similarities with my type of skin and perfume taste, don’t be put off by my review. 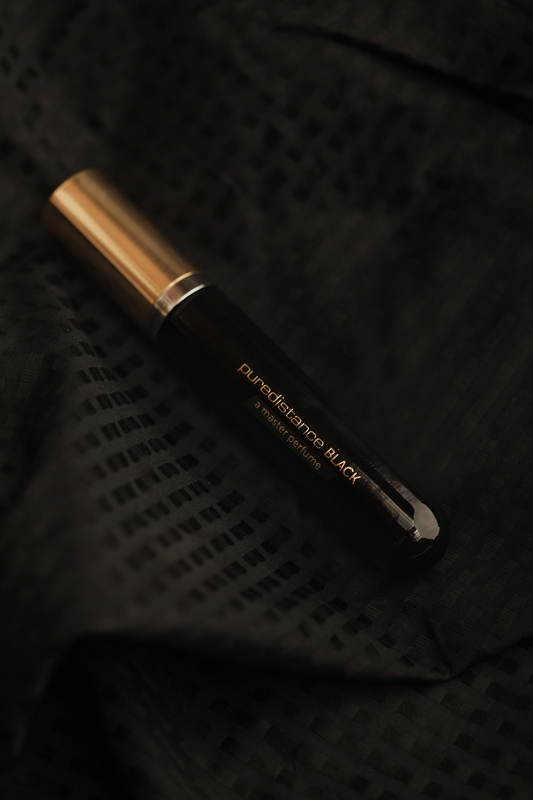 For example, if you love Tom Ford’s Noir de Noir, or if you would like an even richer version of its drydown, you absolutely should consider Puredistance Black. I will only caution you on one thing: if you’re expecting another, darker, woodier version of Puredistance’s absolutely spectacular “M,” then you will be disappointed. They are nothing alike — and every reviewer who mentions “M” is absolutely consistent on that point. Perhaps that is small part of why I struggled with Black. M happens to be one of my all-time favorite (modern) fragrances, an absolutely magnificent marvel that is in my Top Ten, and which I would bathe in, if it were possible. The chypre-oriental-leather-amber mix is also the perfect representation of my perfume tastes. I don’t do well with sweetness, and Black turned into a very extreme, very pink example of that. If I had experienced something actually black in hue, with smoky, woody, dark Orientalism, then I suspect M might have had some stiff competition. As it is, I’m afraid it doesn’t. DISCLOSURE: My small vial of Black was provided courtesy of Puredistance. That did not impact this review. I do not do paid reviews, my opinions are my own, and my first obligation is to my readers. 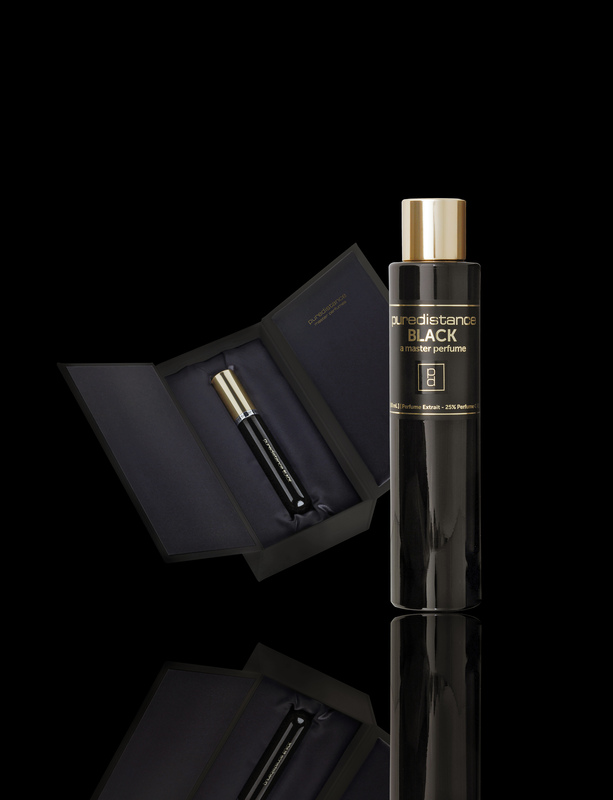 Cost & Availability: Black is an extrait de parfum concentration (the highest), will officially debut in December 2013, and will be available in a variety of different sizes on the Puredistance website. Its European retail price will be as follows: €165 for the 17.5 ml travel spray, €275 euro for 60 ml (about 2.1 oz), and €490 euro for the 100 ml/3.4 oz bottle. The American prices are, respectively: $198, $330, and $590. Until its official release, samples of Black are being temporarily offered as part of a promotional special from Puredistance (at the website linked up above). The promotion involves: 2 x 2ml vials of the Extrait for $39 or €29, with free shipping. Retailers: Upon its release, Black will be offered at the usual Puredistance retailers which include: Luckyscent and MinNY in the US; Jovoy in Paris; and London’s Roja Dove’s Haute Parfumerie division on the 5th floor of Harrods. You can already pre-order at Luckyscent. For all other countries, you can use Puredistance’s Store Locator which lists retailers from Australia and New Zealand to Austria and Russia. I will try to remember to update this post later with more direct links, as well as links to sample sites like Surrender to Chance which normally offers Puredistance fragrances in vials that you can buy for testing. The Puredistance Giveaway has ended, and I have the names of the ten winners! A satin bag containing one (1) sample spray vial of Puredistance M, and one (1) sample spray of Puredistance Opardu. Ten (10) people will each get ONE (1) satin bag containing one 2 ml vial of “M” and one 2 ml vial of “Opardu.” The giveaway was open to anyone who follows the blog and lasted one week. 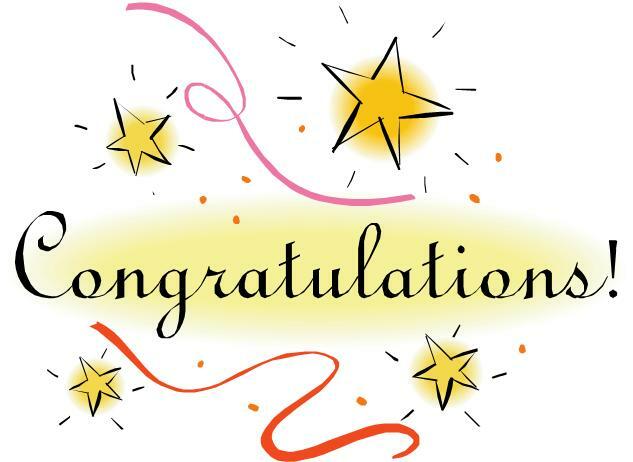 I used Random.Org to choose the ten winners who are……. Please contact me with your address so that I can forward it on to Puredistance in the Netherlands. Email me at AKafkaesqueLife @ Gmail dot Com (all one word, squished together and with a period in place of the “dot.”) You have THREE DAYS until Friday, May 17th, 2013 at 11:59 p.m. Central Standard Time (CST) in the U.S. (which is -6:00 GMT -Greenwich Mean Time). If I don’t hear back in time from one of the winners, their prize will go to the next person on the list. Obviously, there is no way to check if you have or have not, so we’re going by the Honour System here. 🙂 But it’s a tiny request from a wonderful perfume house that not a lot of people know about, so I think it would be nice to get the word out, don’t you? Puredistance is paying for all the shipping and they will ship directly to all the winners. Given that Puredistance is located in the Netherlands, it may take some time (up to 10-14 days depending on when you sent me your address, your location, and Customs processing) for you to receive your sample bag. (It may take a little longer if your country has stringent customs issues and/or you’re far outside Europe.) Neither Puredistance nor I am responsible for items that are destroyed by customs or that are lost in transit for some reason. Once again, I’d like to express my enormous gratitude and thanks to Puredistance for choosing my blog for their giveaway. Their generosity, kindness and thoughtfulness in also offering so many bags is absolutely incredible. And to the winners, I hope you enjoy the perfumes! 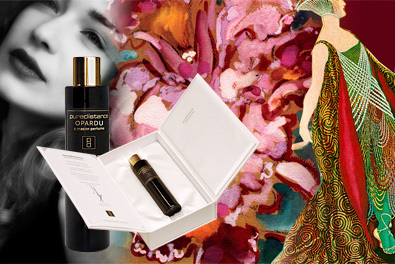 If you’re a regular reader, you’ll know that Puredistance is one of my favorite houses for the elegance, luxuriousness, sophistication and richness of their fragrances. Well, the incredibly generous, thoughtful people behind the brand have offered a perfume giveaway of samples of my two favorite Puredistance pure parfums for TEN (10) readers. What Opardu evokes in me. A satin bag containing one (1) sample spray vial of Puredistance M, and one (1) sample spray of Puredistance Opardu. Each sample is 2 ml. Like all of Puredistance’s fragrance, each perfume is Extrait de Parfum (i.e., Pure Parfum), the highest concentration possible. “M” has 25% perfume oil. Opardu clocks in at a whopping 32%! Each perfume was also created by a Master Perfumer: Roja Dove in the case of “M,” and Annie Buzantian of Firmenich in the case of Opardu. What “M” feels like to me. For those who have never tried either fragrance, “M” is a molten, rich chypre-leather-oriental hybrid, and Opardu is an elegant, soft, airy lilac-centered floral. I adore both of them, though M really owns my heart out of the two. You can read my review of “M” here and of Opardu here. Ten (10) people will each get ONE (1) satin bag containing one 2 ml vial of “M” and one 2 ml vial of “Opardu.” The giveaway is open to anyone who follows the blog. (See, further details below.) Those who don’t follow Kafkaesque, or who aren’t signed up, are free to do so. The winners will be chosen at random, and the items will be shipped directly to you by Puredistance. There are no exclusions based on your geographic location. The giveaway starts today, Monday May 6th, 2013 and will continue for 7 days until Monday, May 13th, 2013 at 11:59 p.m. Central Standard Time (CST) in the U.S. which is -6:00 GMT (Greenwich Mean Time). In other words, it goes until the last minute of May 13th in my time zone. If you’re in the UK, it ends at 5:59 a.m. on Tuesday the 14th. If you’re in the Australia, for example, it ends at 2:59 p.m. on Tuesday the 14th. If you’re in Japan, it ends at 1:59 p.m. on Tuesday the 14th. You get the idea. The winner will be announced in a day or two afterwards. You have to post in the comments — here on the Kafkaesque blog — saying how you follow the blog: via WordPress, email subscription, RSS feed, Blog reader, or some RSS method. If you’re not a reader of the blog, feel free to sign up. The retail price of the giveaway is quite a lot, so I truly hope the 10 winners will help spread the word. To give you an idea of the value, Surrender to Chance sells a 2 ml vial of each fragrance for $31.96, so the total for the 2 sample vials would be $63.92 (not including the shipping that you would have to pay to Surrender to Chance). When you throw that in, the true total is over $65 if you’re in the U.S. and $75 if you’re overseas! It is an enormously generous offer from Puredistance!! Puredistance is paying for all the shipping and they will ship directly to all the winners. Given that Puredistance is located in the Netherlands, it may take some time (up to 10-14 days depending on your location and Customs processing) for you to receive your sample bag. (It may take a little longer if your country has stringent customs issues and/or you’re far outside Europe.) Neither Puredistance nor I am responsible for items that are destroyed by customs or that are lost in transit for some reason. Winners will be chosen either by using Random.org, or by some other totally random, impartial, blind method. I will announce the 10 lucky perfumistas in a day or two after the giveaway ends. It’s more likely it will be the next day, Tuesday, May 14th (in my time zone). Once I post the winners, you have THREE (3) days to contact me with your shipping information. Please send an email to Akafkaesquelife @ gmail . com (all one word, scrunched together). If you don’t, I will give the gift to the next person on the list. To enter, you have to be a follower of the blog and you have to post here on the blog about how you do it. When you win, please help spread the word about the company by posting a photo of your winning bag & samples to Facebook or Twitter, and tag Puredistance. You have a week to enter and then, once the winners are announced, you have 3 days to get in touch with me with your shipping information. Lastly, my enormous gratitude and thanks to Puredistance for choosing my blog for their giveaway. Their generosity, kindness and thoughtfulness in also offering so many bags is absolutely incredible. Some companies may give away one or two samples, but 10 bags each containing 2 samples of expensive pure parfum?! Amazing! I cannot thank them enough. I’m particularly excited as today marks the Five Month Anniversary of my blog. Five months to the day, and just short of 80,000 hits!! I feel like celebrating, and what better way than with this wonderful gift from one of my favorite perfume houses! I cannot wait for the 10 lucky winners to get the chance to try Puredistance’s amazingly luxurious, rich, sophisticated and elegant fragrances! One a little more masculine, one a little bit more feminine — both completely stunning in their own way! A woman walks through the mist and fog in her small private garden in London. 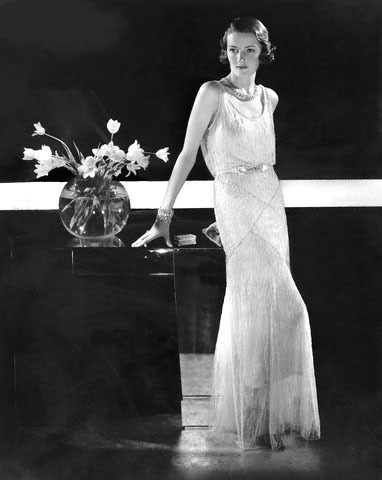 It’s the 1930s, and she wears a long, evening gown with ropes of pearls for the dinner party that she’ll attend later at Grosvenor Square. She is half visible, half hidden in the swirls of the fog; a soft shimmer of a figure, she almost seems like a mirage. Spring flowers surround her, wet and sweet, but there is mostly green in the air from verdant bushes behind her and the climbing ivy that trails the walls of the nearby house. Photo by Sheila Rock, “Garden Mist,” 2012. Source: Photography-now.com exhibitions. That’s the vision that comes to mind when I wear Antonia by the luxury, niche perfume house, Puredistance. It is an elegant, feminine, green floral perfume with an old-fashioned, sophisticated feel done in a very modern, light, airy manner. It is not my favorite from the perfume house (which actually is one of my favorites brands), but that is only because I’m not really a green perfume sort of person. Antonia is a beautiful scent that will definitely appeal to those who love sophisticated, timeless fragrances with these particular set of notes. The Perfume is neither modern, nor old-fashioned – Antonia is a timeless Perfume with a feel of innocence, yet feminine and conﬁdent. She grabs you with gentleness and faithfully stays with you, tenacious, but never overwhelming. She dances with graceful ease in a harmonious balance struck between the crisp, verdant optimism of galbanum top notes and the smooth, creamy sensuality of vanilla in the dry-down. Ingredients: Jasmine, Rose Essence, Ylang Ylang, Orris [iris], Ivy green, Galbanum, Vanilla, Vetiver. Galbanum, for those who may not know, is a gum resin from certain Persian plants which resemble large fennel or anise plants. Its smell is very green, often bitter or pungent, sometimes herbal or grass-like, but almost always with a woody undertone. Here, it is a key part of Antonia which opens on my skin with a burst of green and white. 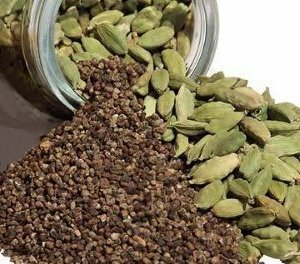 There is galbanum but, also, aldehydes which create a soapy film over the green, softening its usual biting, bracing, pungent characteristics, while also adding a certain fizzy quality to the overall notes. Soft florals are intertwined, creating sweetness that further tames the galbanum note. At the same time, there is a hint of rooty, slightly earthy vetiver. The overall impression, however, is of extremely expensive French soap with rose, iris, green notes and vetiver, all intertwined with galbanum. There is a certain chilly coolness to the elegance. While Puredistance’s founder, Jan Ewoud Vos, feels the perfume evokes his mother (whose name is Antonia), to me, it conjures up a beautiful, slightly haughty, aristocratic European socialite from the early part of the 20th century, languidly lounging in a stunning dress. Iris notes always create that image in my mind but, here, it is also the fact that galbanum was a key staple of more classique fragrances and is not frequently used today. Yet, Antonia is not an old-fashioned scent. It’s definitely a modern twist on the old classic notes; it’s lighter, airier, without bullying powder, or a heavy base. And, for all that I keep seeing aristocratic British socialites in my head, I also keep seeing beautiful gardens in the Spring, full of sweet-smelling white flowers and lush softness. As the moments tick by, Antonia becomes sweeter and more floral. 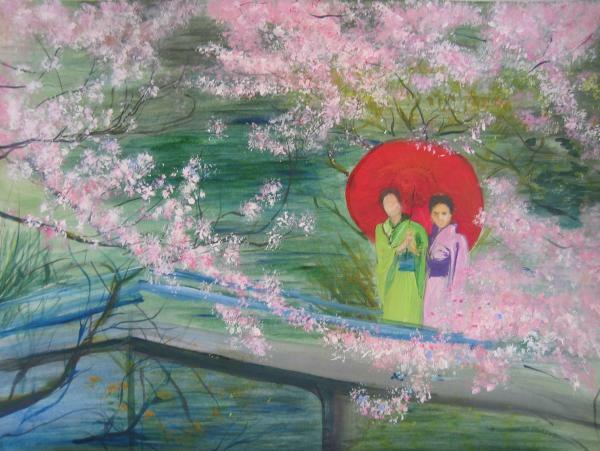 The soapy aldehydes retreat more and more, while the jasmine blooms. Very subtle touches of rose and iris trickle up to the surface, along with what feels like hyacinth and lilacs. Neither of those last two flowers are in Antonia, but it feels like it with the very sweet, sometimes purple, feel of airy delicacy. In my mind, the aldehydes are almost like a sheer mist, wafting over a garden in bloom, letting them peek out here or there, but also delicately covering them like a gauzy veil. Forty-five minutes in, the jasmine becomes much stronger, but it’s never indolic or heavy. Rather, it’s fresh, bright and sparkling — which makes me think that Antonia has hedione in it. 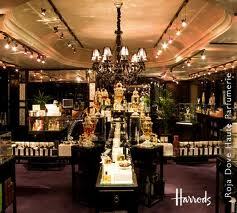 For one thing, hedione has long been a key part of 20th century perfumery, especially for French perfumes. While it is often used in place of jasmine absolute, hedione is also sometimes used for its own characteristics in order to create a bright, green, lemon-nuanced fizzy note. 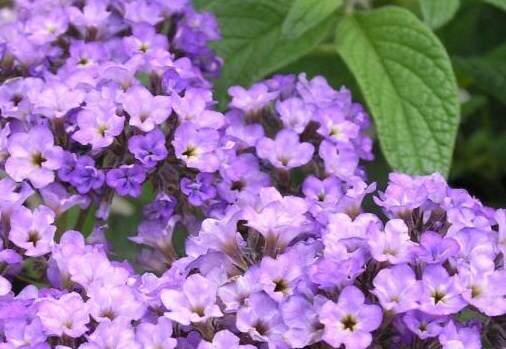 For another, hedione is also a frequent partner to jasmine absolute (such as there is in Antonia), when the perfumer is trying to prevent the note from turning indolic and to keep it bright. Here, the jasmine note is very fresh, airy and almost green — the way it would be if hedione were used. For all the lightweight textural feel to Antonia, the florals are both strong in projection in that first hour and soft in nature, almost like very pillowy cloud floating around you. Yet, the sillage soon drops and, shortly after the first hour, Antonia turns into a skin scent on me. It is the exact same situation that occurred when I tested Puredistance’s Opardu, which was one of the most spectacular florals I’ve tried in years. I don’t know if it was the sharp drop in projection which made the perfume notes harder to detect, or if Antonia is intended to turn into an abstract floral, but for the next three remaining hours, the notes are amorphous, light florals along with mossy galbanum, sometimes peppery green notes, a touch of soap and the merest suggestion of light musk. At times, the ylang-ylang becomes a little more prominent; at other times, it’s a combination of jasmine with ylang-ylang — but for the most part, the flowers bloom together as a well-blended, harmonious whole. Then, at the start of the sixth hour, Antonia changes. The most prominent note is smooth, lush, creamy vanilla, followed by surprisingly spicy green element (the ivy? ), custardy ylang-ylang, and a drop of vetiver. Antonia remains that way for a few more hours, softening even further, then turning into a soft, powdery vanilla in its final dry-down. Its caress finally fades away after the start of the 11th hour which is quite a long period of time on my crazy, perfume-consuming skin. As I said at the start, Antonia is a very pretty perfume, but it wasn’t my favorite out of the three Puredistance fragrances that I’ve tested thus far. For one thing, I’m not the hugest fan of galbanum, which is a solid thread in the perfume for a good portion of its first six hours, and I don’t go gaga for green fragrances. For another, I’m one of those very odd people who does not like strong aldehydes. It puts me solidly in the minority of perfumistas, I know, but I’ve had issues with aldehydes since I was 7 years old and was given a bottle of Van Cleef & Arpel‘s famous First. When I shuddered over that, I was given Hermès’ Caleche — and that almost put me off perfume altogether, until I was saved by YSL‘s Opium. Soapy aldehydes are, in fact, the very reason why I cannot stand Chanel No. 5 — a confession that I know will make me a pariah amongst perfume bloggers. But I’m telling you all this as a context for Antonia. It’s a fantastic scent with undeniable quality and beauty; I’m simply not in the target audience. What is startling about Antonia is how the strength of the galbanum and floral notes seems to be perfectly weighted so that everything can come through and show its own distinct character, no single part takes centre stage. Annie Buzantian seems to have a real nack for creating a perfect equilibrium within a composition. Antonia becomes much softer and more powdery with time, she also keeps warming until she moves from being sparkling and exuberant to being cosy and comforting. Dry vanilla and amber create a cosy, maternal aura that surrounds the sweet florals and green galbanum. It’s amazing that a perfume can be so classy, yet so cuddly. Antonia is a perfume of contrasts, at times she can feel old fashioned (thanks to the strong galbanum and aldehydes) and at others she feels completely contemporary. There is also nothing quite like Antonia available at the moment, she feels like a proper ‘perfume’, a signature scent that encourages loyalty from those who wear her. The link between Antonia and Jan Ewoud Vos’s mother is very touching and it resonates so well because Antonia feels incredibly maternal. There is something wonderfully comforting about Antonia, her presence is reassuring and loving, like a hug from Mum. She strikes me as a fragrance that could be passed down from mother to daughter through the generations. She is timeless enough to be worn by Grandmother, Mother and Daughter simultaneously. To put it simply; Antonia is liquid emotion. It’s a beautiful review that definitely captures one side to the perfume. 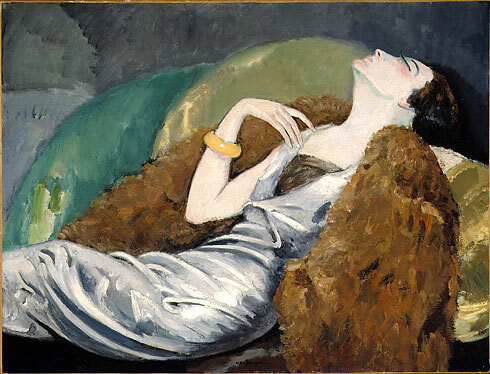 (I still see willowy, 1930s British socialites!) But it is a review that, I hope, will tempt you to try the perfume because there aren’t a lot of things out there that consistently have Puredistance’s trademark elegance. the large 100ml/ 3.4 oz Perfume Flacon + 17.5ml Perfume Spray free of charge: $590 or €490. 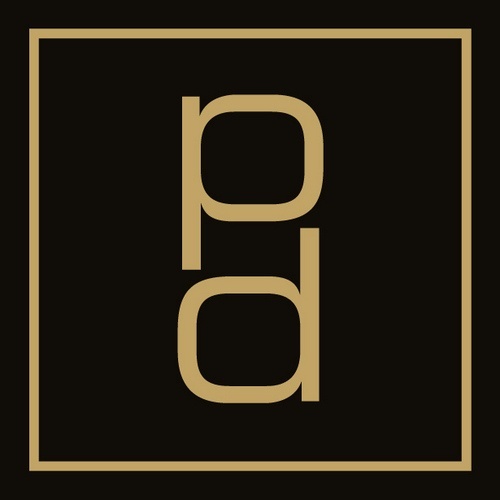 Puredistance is one of my favorite houses because their fragrances ooze sophistication, luxuriousness, quality, and the very best of the classique, haute perfume tradition. Each one is stunning in its own way and there is something for everyone, regardless of personal tastes. Their M is a magnificent Chypre-Oriental-Leather-Amber and amongst my favorite perfumes (as well as now being a family favorite as well), while Opardu is perhaps the most beautiful floral I’ve tried in years. Antonia is just as lovely in its own way. 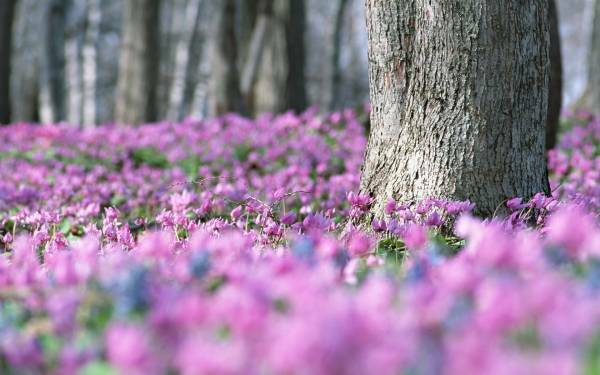 If you’re looking for a perfect Spring floral and like soft green scents, I hope you will give it a try. 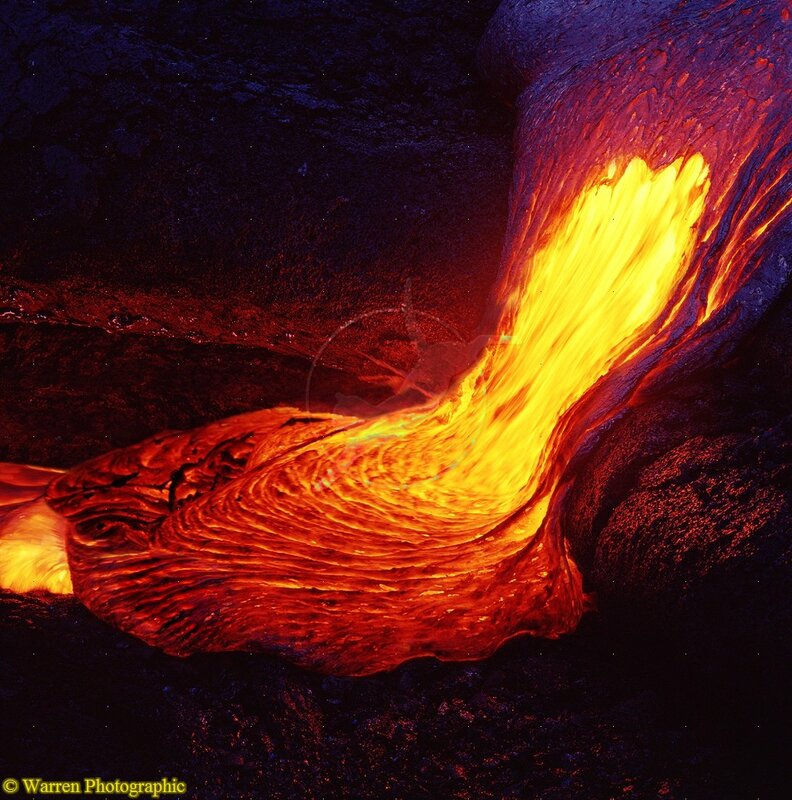 Molten lava, gold and red, coursing richly over dark rocks. 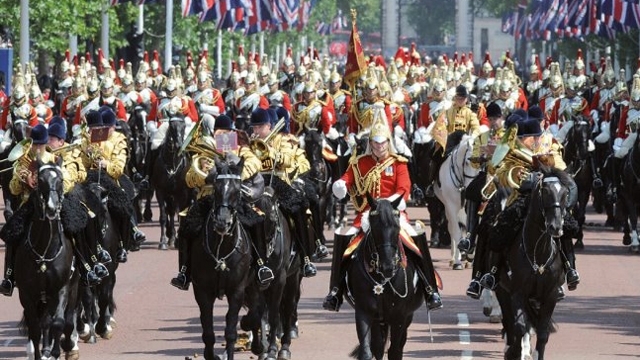 An aristocratic cavalry officer’s perfectly oiled, brown leather boots, gleaming with scented oils of honey and rose. The richest amber and the darkest honey, intertwined in a kiss. Those are the images which come to mind when I try “M” from Puredistance, a niche luxury house whose exclusive (and very costly) perfumes are made by Master Perfumers in London and New York. Puredistance M, as it is known, has an added cache: it’s made by the great Roja Dove himself. Roja Dove. Source: The Glass Magazine. 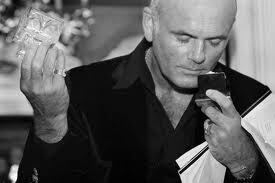 Roja Dove is the only man in the world who bears the title, Professeur du Parfum. His legendary nose is said to be able to detect over 800 perfumes from a mere sniff. After working for almost twenty years for Guerlain, he left to pursue his own ventures which include the speciality boutique within a boutique at Harrod’s called Roja Dove Haute Parfumerie. He also creates his own perfumes — some of the most highly acclaimed and admired in the world. A few years ago, he collaborated with Puredistance , a company whose perfumes typify the luxury and richness associated with his own fragrances. Each Puredistance perfume is an extrait de parfum blended at a whopping 25-32% concentration and filled with the finest perfume oils. Puredistance M for Men and Women (sometimes written as PuredistanceM) is no exception. chypre of classic proportions… with an unexpected oriental twist, which lends the perfume an original and modern feel. The warm smoothness of the blend is incomparable. The composition purrs softly along, weaving the leather accord into the road-map of spices, woods and resins. The chic, sensual and comforting trip takes the wearer from the leathery start to the softly-smoldering woody, balsamic base via the delicately earthy heart. Enveloping and comforting as it is, M, with its elegantly smoky leather, has a hint of excitement and danger, which is just how it should be, in a fragrance inspired by Bond’s car. Ingredients: Bergamot, Lemon, Rose, Jasmine, Cinnamon, Patchouli, Mosses, Cistus [Labdanum], Vetiver, Vanilla, Leather, Musk. Puredistance M opens on my skin with a rich, unctuous, baroque mix of dark rose, labdanum, leather, jasmine, musk and a subtle dash of citrus. There is the swirling aura of leather all around, but it’s almost ephemeral at this point and nothing distinct. And, yet, there is also the faint impression of a barnyard that pops up, only to flit away after two minutes. The rose is rich, dark, beefy and meaty; it is also slathered with the darkest honey you can imagine. 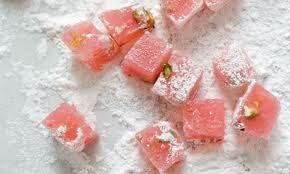 The sweetness tames any zestiness of the citrus note, rendering it sweet, not sharp. There is a noticeable backdrop of oakmoss but, unlike many chypres, it is never fusty, musty or dusty. Instead of being pungently dry, the mosses are sweetened by the honey notes from the labdanum resin — it’s absolutely glorious. Interestingly, the second time I tested Puredistance M, the oakmoss was even less noticeable in the start. Same with the citrus notes. Instead, the predominant impression was a panoply of honeyed beeswax, rich roses, dark honey and cinnamon. In fact, honeyed beeswax is such a persistent part of this perfume on both occasions that I wore it that I am convinced it is one of the hidden ingredients, along with cloves and a smidgen of cumin. I am also convinced that Puredistance is one of those perfectly blended perfumes which will reveal different facets each time you wear it. The combination of notes — on both occasions — lead to an overwhelming impression of molten lava: a fiery river of honeyed labdanum turned burnished red from spices and roses. The labdanum is so rich that, at times, it has a faintly burnt quality to it. In fact, during my first test, there was an impression almost of burnt wax. The predominant note, however, is of a very balsam-like resin that is as dark as possible; it’s unctuous, opaque and thick. It’s hard to describe what labdanum smells like to someone who has never smelled it but, at its core, it is far more than just an amber-y smell. 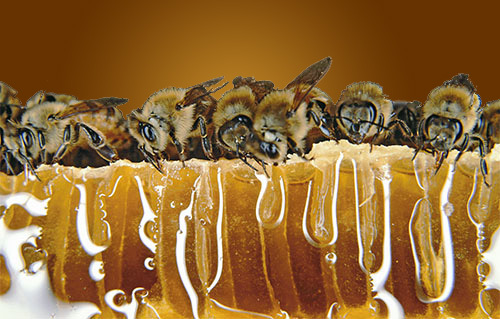 It takes honey to a depth that is almost unimaginably medieval in its complex, burnished richness. At the same time, it has a subtle, almost dirty, nutty, slightly leathered edge that is never animalic but which definitely turns the whole thing into something more masculine and musky than actual honey. I love labdanum and it is the fiercely beating heart to Puredistance M, evident from start to finish, in the richest way possible. About fifteen minutes in, the leather starts to appear. It has the feel of darkly brown, softly caramelized aged leather. There is a subtle, earthy feel to it that I suspect comes from the underpinnings of the vetiver which is never a really detectable note, in and of itself, but which is a quiet thread in the overall tapestry. I know the perfume is meant to evoke the leather seats of a luxury car and, for most people, Puredistance M does exactly that. For me, however, I imagine an aristocratic cavalry officer’s well-worn riding boots, tended to lovingly with a mix of beeswax and oils tinged with rose, honey and jasmine. This is really the smell that I expected from Chanel‘s legendary Cuir de Russie which was inspired by Tsarist imperial officers and the Russian treatment of birch leather. Instead, on my skin, Cuir de Russie was all horse feces under a heavy pile of soap. I’m in a very distinct minority on that point, but the disappointment remains the same. 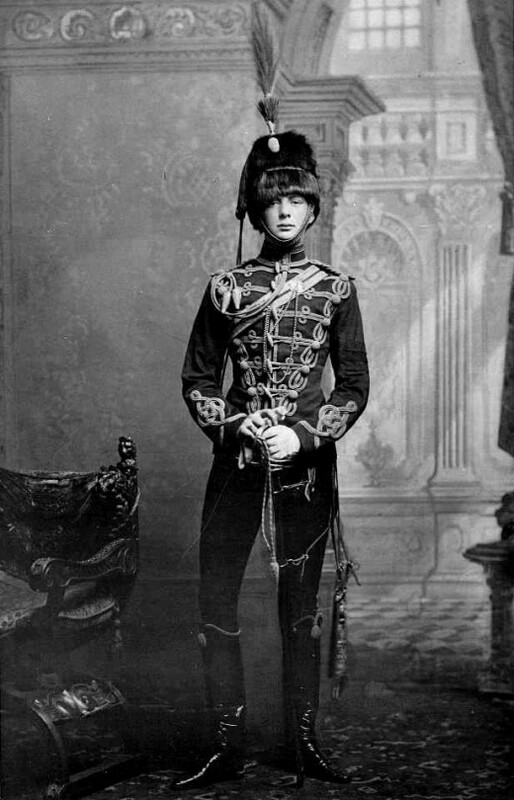 No Cossacks, no Imperial Grand Dukes, no passionate sensuality evoking Coco Chanel’s love affair and, most of all, no smooth, aristocratic leather. With Puredistance M, however, the leather is pure elegance. It feels screamingly rich, covered with cognac, warmed by honey, and reddened by quiet spices. The latter start to become more evident about thirty minutes in. Cinnamon is the most obvious note, but there is also the merest touch of cumin. It’s not the sort of sweaty-smelling cumin; it’s simply dry and a little bit earthy. I’m convinced there are also big dollops of cloves in Puredistance M, adding a little bit of fiery heat to the sweet honey and resinous labdanum. The floral and musk accord also become more noticeable around this time. The musk is not skanky, sour, or redolent of personal intimacies. Nor is it even remotely animalic. Instead, it is quietly intertwined with the rose and the increasingly evident jasmine notes for a combination that is narcotically heady and extremely rich. An hour in, to my surprise, Puredistance M changes quite drastically. First, it becomes significantly less opaque and thick, though it is still very strong and heady. Second, it turns from a floral oakmoss chypre with oriental elements into something that, to me, is purely orientalist in nature. The oakmoss was always a subtly blended accord in the opening, intertwined perfectly with the other notes but never dominating. Now, however, it is completely overshadowed by the growing impression of honeyed beeswax with spices and cinnamon-tinged vanilla. The floral notes are still there, however, including the increasingly noticeable jasmine note mixed with a slightly sweet dose of patchouli. Lastly, the sillage has dropped quite substantially. Where Puredistance M was evident from a few feet away in the first hour (at least, when you put on a decent-sized amount), it is now hovering just a foot above the skin. Vintage bottle and box of Bel Ami. In this first ninety minutes and during the opening stage, Puredistance M strongly reminded me of Hermès‘ classic Bel Ami in its vintage form. Bel Ami is a scent I grew up with and loved, so while I haven’t smelled it in years, it was the first thing on my mind in the opening hour of Puredistance M. In fact, I’ve read that Bel Ami is one of Roja Dove’s favorite fragrances. 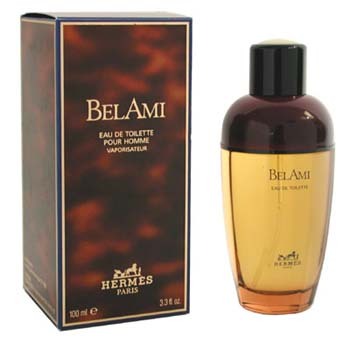 Unsurprisingly, therefore, vintage Bel Ami is the scent to which most people compare Puredistance M, suggesting that you save your money on the latter and buy the Hermès instead. I don’t necessarily agree. Even if we consider the much stronger, more potent vintage version of Bel Ami (as compared to its current reformulated self), Puredistance M is still significantly richer, darker and denser, with much more labdanum and far less citrus influences. Plus, based on my memories of Bel Ami, it only explains the first ninety minutes of Puredistance and certainly doesn’t fit with its remaining development. Because, you see, at the start of the second hour, the perfume changes again and now, it is almost a dead ringer for Serge Lutens‘ Cuir Mauresque! I recently reviewed and loved Cuir Mauresque, so I was quite stunned to find its middle notes replicated here in Puredistance’s similar stage. There are differences in the notes in each perfume and Puredistance significantly lacks the animalic civet of the Lutens but, on my skin, the middle stages for both perfumes was musky jasmine, honey, and resined amber. The burnt styrax in the Lutens is mimicked here by the occasionally burnt aspect to the different sort of resinous amber, the labdanum, and both scents share a subtle, sometimes imperceptible hint of cumin and cloves — all supported on the subtle base of leather. It helps that the Lutens was never very animalic or dirty on my skin because the civet was never strong. Here, however, the real link between the two fragrances is the jasmine, musk and dark amber combination. With the oakmoss having vanished in the second hour, Puredistance has turned into a seductive floral oriental. The final stage of Puredistance M is very simple and is no longer anything close to Cuir Mauresque. The dry-down consists almost entirely of dark, dirty labdanum amber; rich honey and beeswax; and a hint of musky vanilla hovering underneath. The amber accord is tinged by the merest breath of something earthy, but it’s as light as a feather. 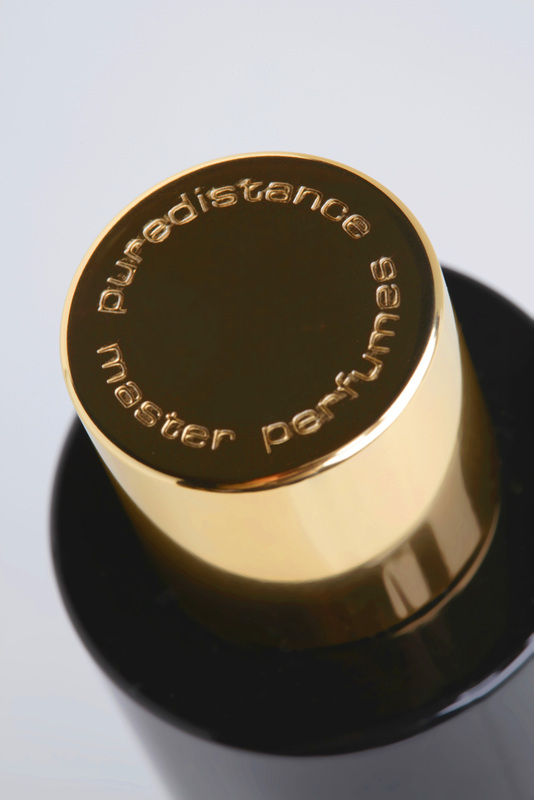 In its very final hour, Puredistance M evoked pure honey and nothing more. At no time in its development were some of Puredistance’s more earthy notes dominant players; both the vetiver and patchouli added some underlying support but they were barely noticeable in their own right. There was no dirtiness or rooty darkness to the scent, and never anything animalic to the leather. Interestingly, for a perfume with such strong notes, the sillage on Puredistance was not enormous. It was evident from a few feet away for the first hour, then dropped dramatically. By the second hour, the scent hovered half a foot away from the skin. Thereafter, it became very close and you’d have to be nuzzling someone’s neck to detect it. The sweetness and spices make Puredistance the least “butch” leather that I have ever encountered. When you throw in the prominant florals, it also becomes one of the most unisex leathers. This is nothing like the stony, cold, black leather that I experienced with Montale‘s Aoud Cuir d’Arabie or the barnyard leather of Chanel‘s Cuir de Russie. It’s also far from the bitter, green, harshness of the butch legend, Bandit by Robert Piguet, which I admired and found most intriguing but which, in hindsight, is simply too brutal for me. It certainly is not remotely close to Tom of Finland by Etat Libre d’Orange which wasn’t even leather on my skin but, rather, powdered, vanilla suede. When people say that M makes everything else obsolete, I am afraid that is very close to the truth. From the very first whiff till it fades away (up to 24 hours later), this is an experience of constant astonishment. And just as much – constant, giddy delight. Of course, I will still wear other favorites. But M inhabits that rarified air of very few others – Gobin Daude Nuit Desert and Guerlain Derby come to mind (in terms of quality, not scent). The price is initially off-putting, but the 18ml bottle is easily the equivalent of many 100ml edp’s. The very tiniest little drop last all day, into the night, and into the next morning. Like I said, constant astonishment. This is the real deal. I don’t agree. I used far more than the tiniest little drop to test the perfume the first time around. When, on the second test, I used the smallest possible amount, the perfume faded away in sillage quite quickly, demonstrated far less complexity, and also lasted far time. On neither occasion did Puredistance M last 24 hours. That said, when I used the equivalent of one large spray, the scent lasted about 11 hours — and I should bloody well hope so for something that is concentrated extrait de parfum! But, again, it was hardly a drop, so I hardly think that the 17.5 ml bottle is “the equivalent” of many 100 ml full bottles of eau de parfum. Nonetheless, on skin which is less voracious than mine, I think the $198 travel mini might be a good compromise if you really love the scent. My belief is that price is a very subjective thing and, if the quality is there, an outrageous price may well be worth it to a particular individual. For me, a full bottle of Puredistance M is well outside my means. To my cheapskate mind, it translates to five full bottles of Serge Lutens or Chanel. And the 0.5 oz/ 17.5 ml mini is similarly too expensive, given the microscopic size and what else I could buy. If, however, price were no object, I would absolutely buy Puredistance M. The “M” really stands for magnificent, molten masterpiece. Sample or Gift Set of four Puredistance parfums. Cost & Availability: Puredistance M is available in a variety of different sizes and forms on the Puredistance website. You can buy a 17.5 ml travel size spray for $198 or €168. The full bottle is 3.4 oz/ 100 ml and costs $590. [UPDATE: The perfume is now also available in a 60 ml bottle for $330 or €275.] 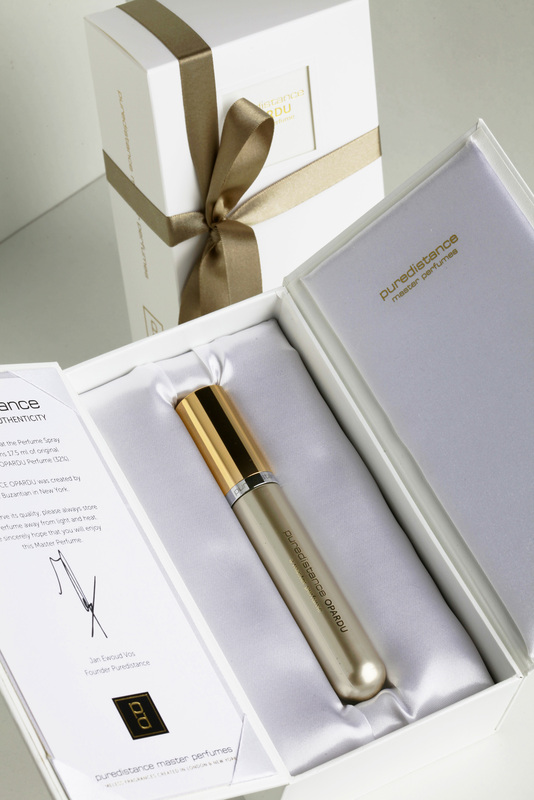 However, you can also buy Puredistance M as part of a sample Gift Set of four Puredistance perfumes (I, Antonia, M and Opardu) with each sample being 2 ml. The whole set costs $59 and includes free shipping. Puredistance M is also available at Luckyscent in both the $198 travel size and the $590 full size, though the latter is sold out until the end of March (2013). Luckyscent also sells a 0.7 ml sample vial for $6. I obtained my sample from Surrender to Chance, where prices start at $3.99 for a miniscule 1/4 of ml vial, $7.98 for a 1/2 vial and $15.96 for 1 ml.